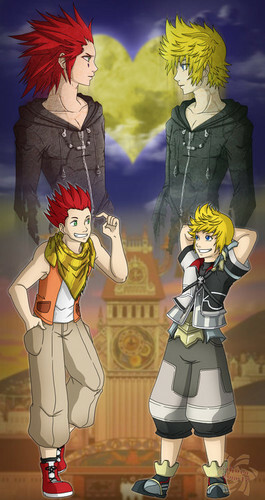 Ven and Lea/ Roxas and Axel. . Wallpaper and background images in the Kingdom Hearts club tagged: birth by sleep lea axel roxas ven ventus.